Designed to be easy to teach, to be comprehensive, to help students gain an understanding of British history trends, philosophies, and events. Overviews and insights into world views. British History: Observations and Assessments from Early Cultures to Today includes one of each of the following items. See samples at the publisher’s website. The British History: Observations and Assessments from Early Cultures to Today Teacher is formatted to be easy to use. Assignments with answers, learning objectives, grading criteria, and short essay questions are included. Student questions are organized in the back for easy use in testing and review. 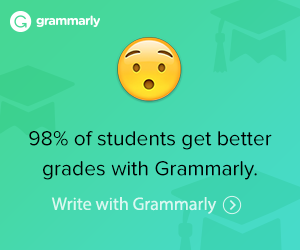 Teachers, parents, or students can grade assignments daily or weekly. If you have seen other courses by Dr. Stobaugh, you will know that he favors tests with essay questions, and that means an opportunity for your student to write. In the course, there are 34 chapters for 34 weeks of study. Each chapter includes five lessons that take about thirty minutes each. Materials in this guide include the following. Students will complete British History: Observations and Assessments from Early Cultures to Today “knowing the rise of the British empire that influenced nearly every corner of the earth! Use this 272-page student resource with the British History: Observations & Assessments from Early Cultures to Today for the Teacher.